Floored by The Wrong Advice? The conventional wisdom around insulating existing floors in your home is that it is problematic. Full Stop. Why? Well, because without going ahead and lifting a solid floor, we are often advised that it is difficult to introduce any permanent thermal insulation. Once a floor is in place, it is like an immovable object. However there are floor insulation solutions available. 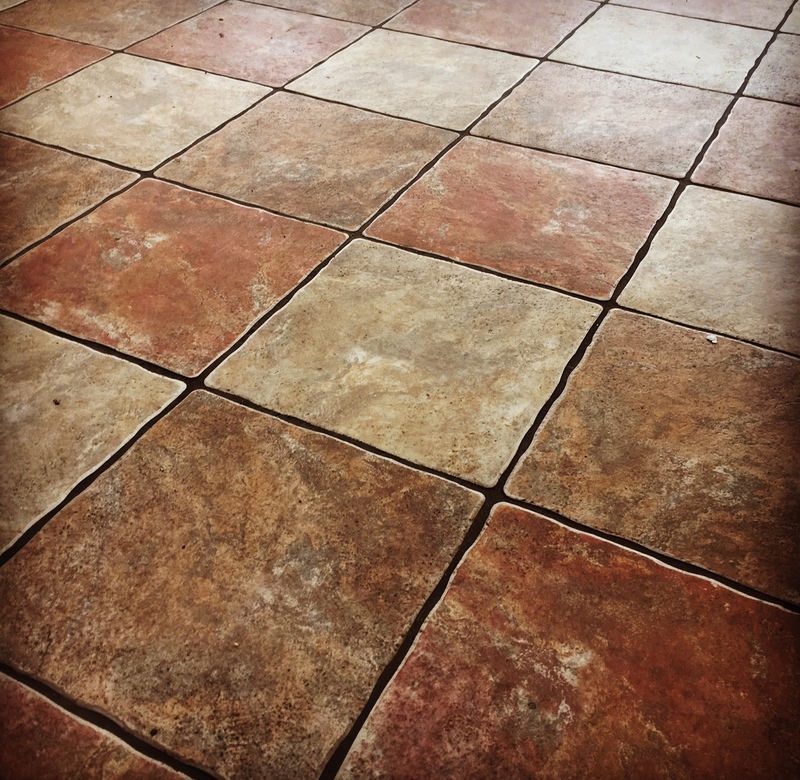 Traditionally solid floors will often feel cold and a little damp, as tiles, bricks or flags could be laid directly in contact with the ground beneath. Concrete floors present another set of problems. Even if the floor includes a damp proof membrane, it may not be well insulated. And where there is a DPM and no sign of moisture, the advice is typically that you can go ahead and lay a wooden floor or some sort of flooring with a thermal underlay. A lack of awareness of the options available means that householders often settle for a solution that is far from ideal. And they continue to lose heat through their floor. When you think about heat loss, most people straight away look at the usual subjects. Draughty windows and doors, but it is a fact that heat lost through a solid floor can cost you money and drastically reduce the energy efficiency of your home. Heat loss through the floor is particularly a problem in older homes. Many older buildings will have ground floors made from either uninsulated or poorly insulated solid concrete. It relates to the original construction of the building when builders were less aware of the potential for heat loss. It wasn’t until the 1930s that concrete floors became relatively common. Prior to that ground floors tended to be basic slabs or tiles laid onto the ground. The Victorians used suspected timbers in most rooms, and for upper stories, floors featured timber joists. Modern suspended concrete floors didn’t appear until the 1990s. Also, main older homes had their floors dug up and replaced with concrete. The problem that you face if you have a concrete floor is that excavating the surface isn’t an option for obvious practical reasons. The other problem is that a layer of insulation that is too deep will cause problems with doors closing and the level of adjacent floors. To address these practical problems at Enviroform Solutions we developed the E-Therm products, which are the highest performing retrofit flooring insulation solution available on the market. It is specifically designed for solid floors where space is at a premium, and excavating is not an option. E-Therm Slim panels consists of a 2x6mm ship lapped calcium silicate boards bonded to foiled faced PIR insulation. No special tools or precautions are required when fitting the panels and can be cut to the required shapes and size. E-Therm Ultra panel consists of a 3mm high impact layer bonded to 10mm Aerogel insulation layers and then wrapped in a highly durable and robust vapour control layer. No special tools or precautions are required when fitting the panels and can be cut to the required shapes and size. Domestic furniture can placed on top of the E-Therm Ultra which is compatible with most floor finishes and under-floor heating systems. It is supplied in a pre-formed panel to allow for fast installation. If you have a floor that you think needs looking at, contact Enviroform Solutions now. We can advice you on the best approach and the solution that fits your floor. Cold Bridge Means Mould Appearing At Corner Windows – Help! Did the Beast from the East Attack Your Property Insulation? Does Insulation Work in the Summer? Mon – Friday (9:00am – 6:00pm). Comments Off on Did the Beast from the East Attack Your Property Insulation?